Get ready for CicLAvia! 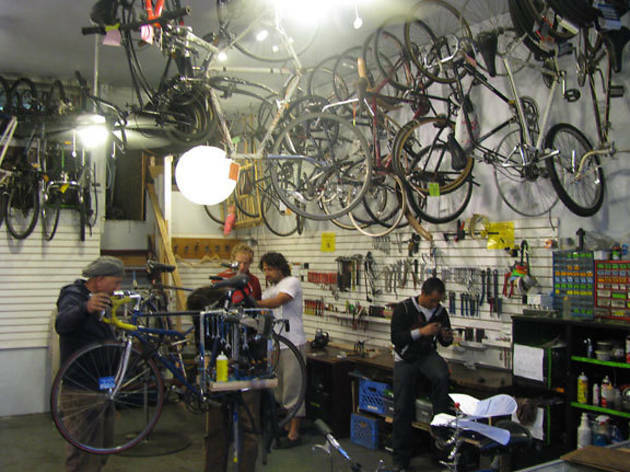 You’ll find bicycle repair guidance, bike-building tools—and a helpful hand at these top bicycle co-ops. Looking for a little bike repair and maintenance help? 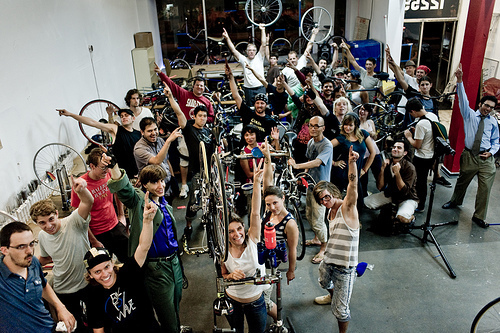 A bike co-op will have you back on the road in no time, provided you’re willing to lend a hand. The volunteers at these shops won't work on your bike for you, rather, with you—providing space, tools and knowledge to help you learn basic bike maintenance or build a beauty from scratch. Despite aggressive drivers, wormhole storm-drains and a lack of proper bike lanes, traversing the city by bike can be quite simple and fairly enjoyable. "Simple and enjoyable" also seems to be the credo at the Bicycle Kitchen, a volunteer-run organization that offers neophytes courses on bike repair, as well as tools and stands for those who already have the know-how. It's at the heart of LA bike culture and is a great place to meet like-minded riders. Tip: If you're a lady who's a little intimdated by the whole scene, check out "Bicycle Bitchin" night, on which only female riders and "cooks" (as the mechanics are called here) are allowed in the shop. 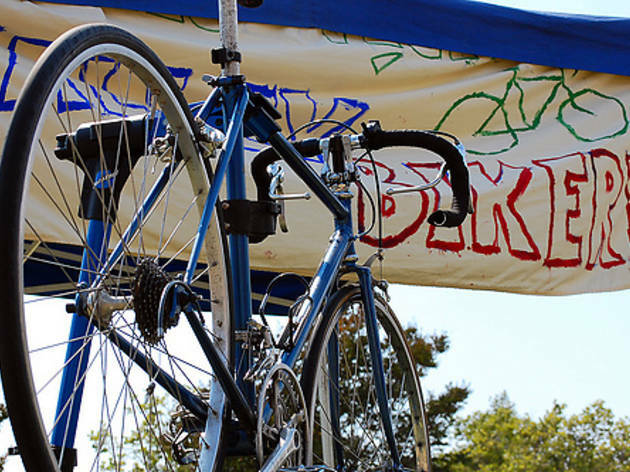 Bikerowave provides the tools, equipment and space to teach you how to build, repair and maintain your ride. You'll actually learn a lot here on each visit, which is perhaps more than can be said for other, more lackadaisical co-ops in the city. It's still a DIY operation, but unlike some of the scrappier co-ops, the folks here will probably never use, say, a beer can to fix your slippy seatpost. 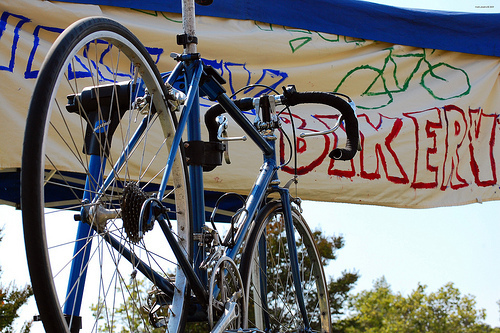 The Bike Oven is a volunteer-run bicycle repair collective that provides tools, supplies and knowledgeable volunteers. 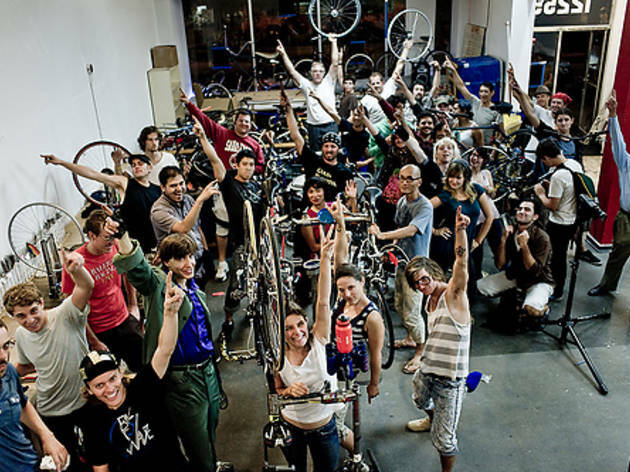 While they won't do repairs for you, they'll certainly work with you to fix up or trick out your bike—and used parts can be purchased for small donations. The Oven also organizes monthly "Spoke N Art" rides to local galleries, with after-parties at the shop. Rather hip for its Valley location (sorry, Van Nuys), the Valley Bikery will help you repair your existing bike or build up a new one. 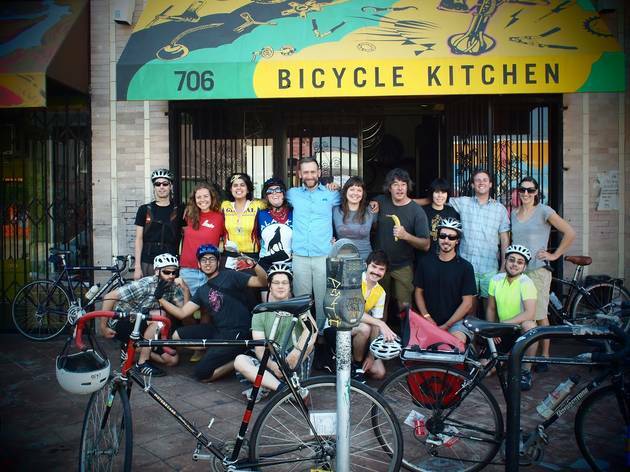 The shop also puts on community rides, during which it welcomes new riders—and (rightly) requires helmets. You may have a tough time finding the place—or getting your bike inside—as it's inside an office building, but it's worth braving the awkward entrance. 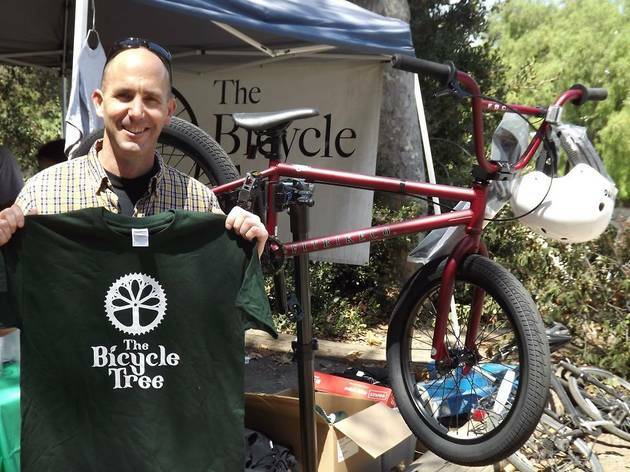 The Bicycle Tree is essentially a roving repair shop in Orange County, offering tools, equipment and workshops. The first Saturday of every month, from 9am-1pm, it's at the Old Towne Orange Farmers and Artisans Market (Cypress Street and Palm Avenue). The last Saturday of every month, from 11am-4pm, it's at the East End Promenade in front of the Yost Theater (3rd Street and Spurgeon Street). Eventually, the Bicycle Tree hopes to open a storefront and start regular classes and youth programs—so afer fixing your fork, remember to fork over a donation.